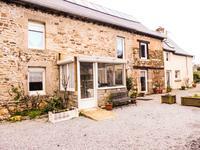 Nicely renovated stone property in the centre of a busy village with space and outbuildings . . .
Bar/ Restaurant with large dining facilities.Close to amenities, 4 bedrooms, 3 bathrooms, 2 separate apartments and possibility for a third. Ideally situated Bar/ Restaurant or a large family home. Business potential for the . . . Unique opportunity to own this very successful gite business, catering for large groups, will . . .
Stone 3 bedroom property with garden and garage.To renovate. Priced to sell and to negotiate. Near MOHON. Light bright property with so much potential to be a beautiful family home or holiday . . .
Beautiful detached longère fully renovated to a high standard offering spacious accommodation . . . This cute home has been renovated with potential for a further 2 bedrooms on the 2nd floor . . .
A perfect first step into France. This ready to go lock up and leave 2 bed property is . . . Soon to be reduced !!!. Perfect holiday home, in the centre of Brittany with land and outbuildings. Blank canvas to finish this pretty house making it a lovely and comfortable home. All . . .